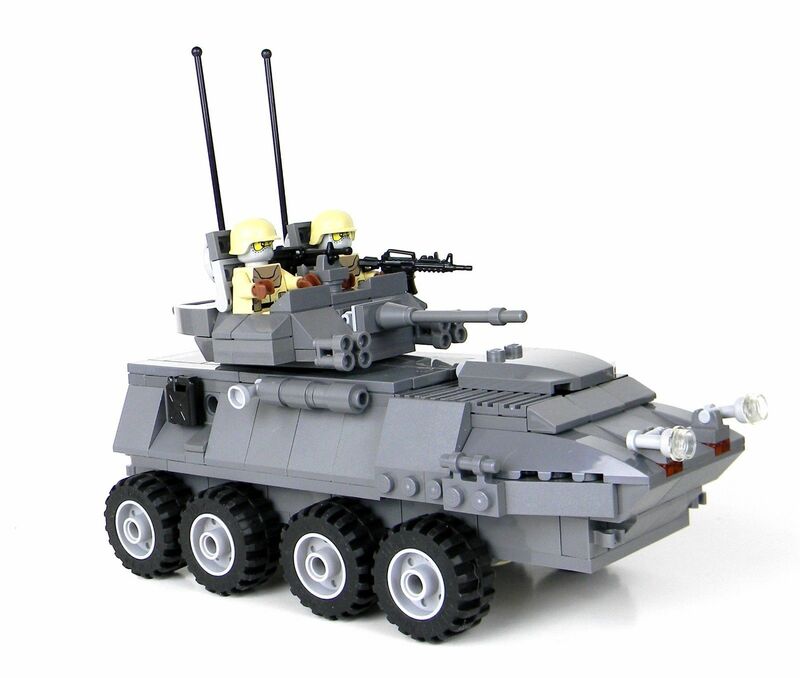 This sale if for the Battle Brick Marine LAV 25 CUSTOM COMPLETE Set! 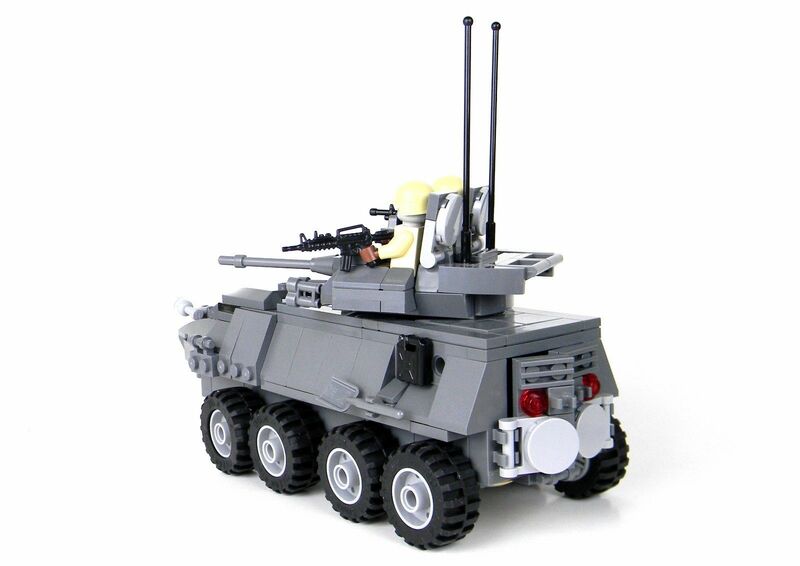 This set is contains over 270 REAL LEGOÂ® Pieces and 2 tan MINIFIGURE soldiers! PLEASE NOTE: THIS IS A HAND SORTED CUSTOM SET! 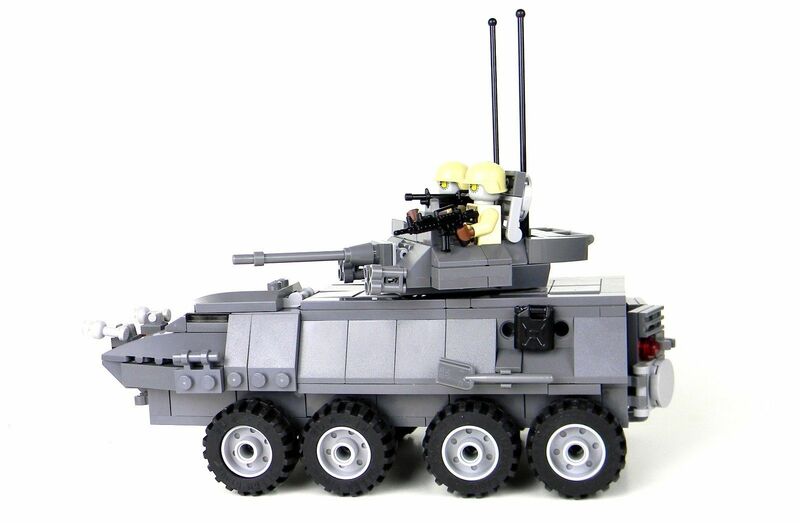 -Fully rotating turret with quad smoke grenade launchers, 25 chain gun, and a light machine gun. -2 custom minifigures with modern combat helmets and M4 assault rifle! Legal: I retain copyrights and distribution rights for all of my models. Anyone found breaching copyrights by selling the same or virtually identical designs will be reported to eBay and liable for prosecution under United States Federal Law. This sale only gives you the right to use the models instructions for your personal use. Furthermore I do not authorize you to transmit, republish, or distribute for free or profit my models instructions. LEGOÂ® is a trademark of the LEGO Group of companies which does not sponsor, authorize, or endorse this set/or sale. BrickarmsÂ© Copyright BrickArms LLC does not sponsor, authorize, or endorse this set/or sale. Looks great and arguably minifigure scale. Build suffers a few stability issues in favor of looks, but it's no big deal.